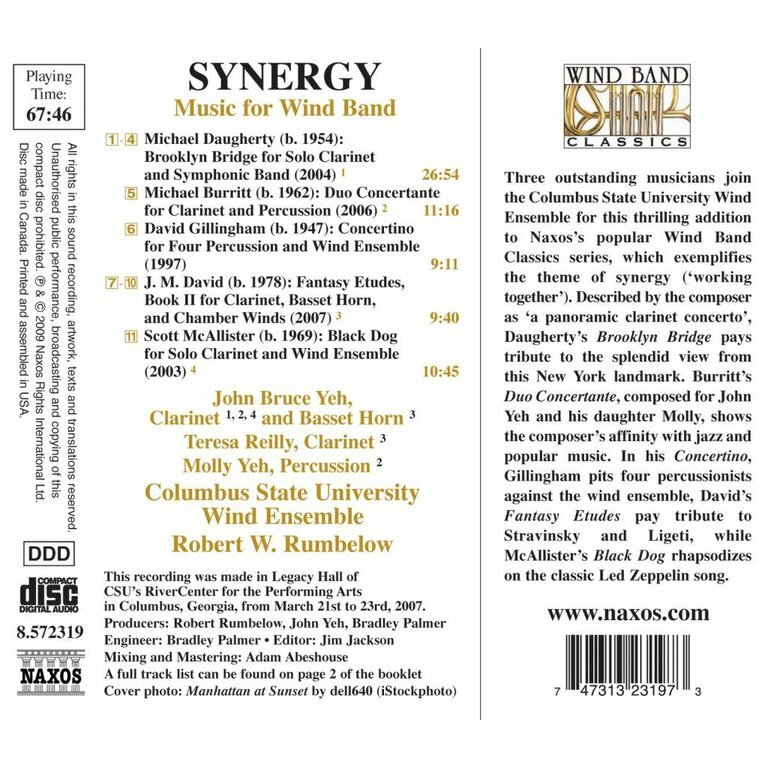 Three outstanding musicians join the Columbus State University Wind Ensemble for this thrilling addition to Naxos's popular Wind Band Classics series, which exemplifies the theme of synergy. Described by the composer as "a panoramic clarinet concerto," Daugherty's Brooklyn Bridge pays tribute to the splendid view from this New York landmark. 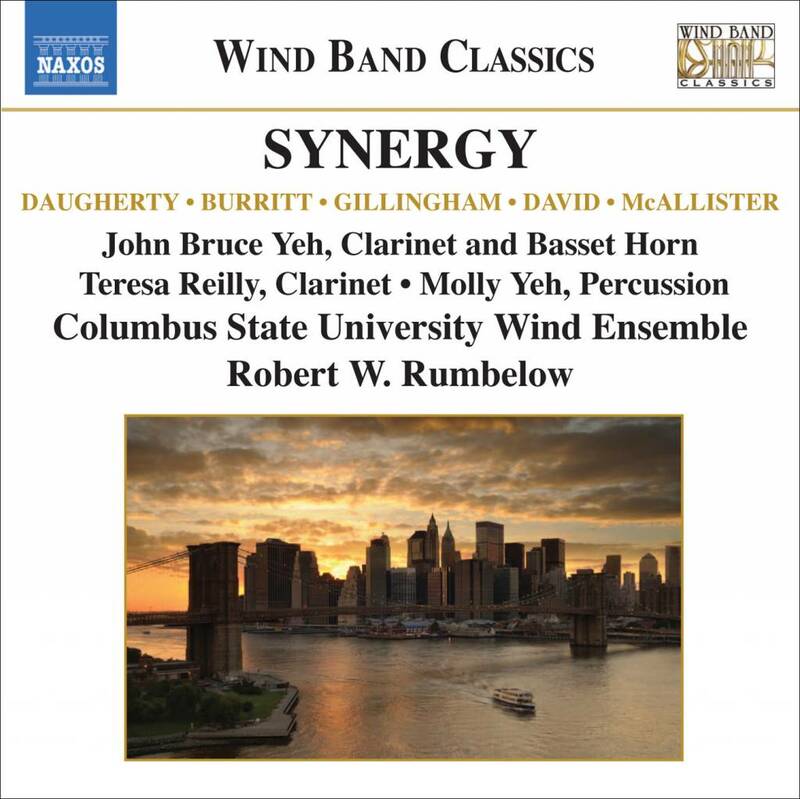 Burritt's Duo Concertante, composed for John Yeh and his daughter Molly, shows the composer's affinity with jazz and popular music. 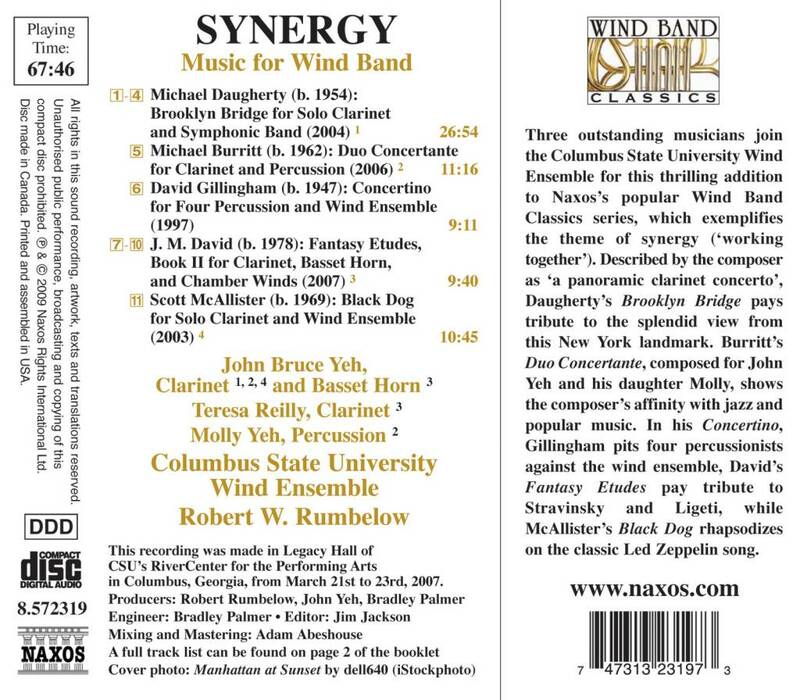 In his Concertino, Gillingham pits four percussionists against the wind ensemble, David's Fantasy Etudes pay tribute to Stravinsky and Ligeti, while McAllister's Black Dog rhapsodizes on the classic Led Zeppelin song.